But among them is he who says, "Our Lord, give us in this world [that which is] good and in the Hereafter [that which is] good and protect us from the punishment of the Fire." 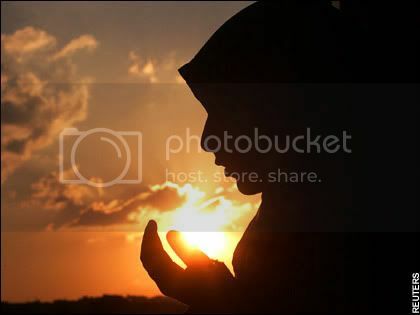 My sister, verily with every difficulty there is ease (Qur’an 94:6); after night comes the day. The clouds of worry will be blown away, the darkness of distress will be dispelled, and calamities will come to an end, by Allâh’s leave. Remember that you will be rewarded, and if you are a mother, your children will be a great support and help for Islâm, if you bring them up properly. They will make du’â’ for you when they prostrate and at the end of the night, just before dawn. It is a great blessing if you are a compassionate and kind mother. It is sufficient honour and pride for you to remember that the mother of Muhammad (Blessings and Peace be upon him) gave mankind a great leader, the noble Messenger. 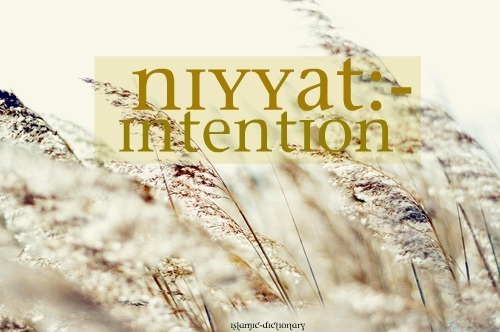 You have the potential to be a dâ’iyah (caller to Islâm) calling other women to the path of Allâh with kind words, good exhortation and wisdom, arguing in a manner that is better, debating and guiding others by means of your good behaviour and setting an example. A woman may achieve, by means of her conduct and righteous deeds, things that cannot be achieved by Khutbahs (religious sermons), lectures and lessons. How often has a woman gone to live in a neighbourhood, and people started to talk about her religious commitment, modesty, hijâb (Islâmic dress) and good attitude, her kindness to her neighbours and her obedience to her husband, so she became a good example to others – that was spoken by all. The past is gone and the hoped-for future is still unknown. All you have is the present. Think about how Allah made this woman – Asiyah, may Allah be pleased with her – a living example for believing men and women, a clear symbol for everyone who wants to be guided and follow the ways of Allah in life. How wise this woman was, when she sought a home with the Lord and put that above her worldly interests. She freed herself from the control of the Kaafir (Disbeliever) tyrant Pharaoh and refused to live in his palace with his servants and courtiers, and with all its luxuries. She sought a better home that was more lasting and more beautiful, with the Lord of the Worlds, amidst gardens and rivers, in a seat of truth (i.e. Paradise), near the Omnipotent King (Allah, the One, the All-Blessed, the Most High, the Owner of Majesty and Honour) (Qur’an 54:55). Its been a while since I proper blogged as in writing my own thoughts kind of blog so I thought I would share something that I have been thinking about. It is going to be a very watered down version but its still something lol. This hadith shows that all you do is judged by intention. A deed for the sake of gaining the pleasure of Allah will be deemed good and carry merit in the sight of Allah however that which is done with bad intention and wickedness though outwardly seeming good will earn you the wrath of Allah. For many of us, when we start getting closer to our deen we tend to forget the small details and want to make big leaps that we may sometimes not be able to stick to.We may sometimes become so engrossed in what will people say and we lose sight of the ultimate aim. We forget that only Allah seeing us is what matters and while we may portray something else on the outside, He sees what is in our hearts. May Allah guide us and clean our hearts and may He help us to renew our intentions constantly because it is difficult. Allah's mercy is such that idf you intended a good deed but cant do it, you get a reward for it, if you intend a bad deed and dont do it, you also get a reward for that. If you intend a good deed and do it, you get rewarded as much as Allah wills and when you intend a bad deed and do it, you only get one sin. Subhan'Allah!!! Allah judges the worth and value of a deed by the motive with which it is performed so dont let your deeds go to waste. Always do whatever you do for the sake of Allah. With this you can earn rewards through any act. Before you do anything, stop and think why and for whom you are doing it. Remember that your Lord forgives those who ask him for forgiveness and he accepts the repentance of those who sincerely repent, and he accepts those who sincerely come back to him. Show mercy to the weak and you will be happy; give to the needy and you will be well; do not bear grudges and you will be healthy. Be optimistic for Allah is with you and the angels are praying for forgiveness for you, and paradise awaits you. Wipe away your tears, think well of your Lord, and chase away your worries by remembering the blessings Allah has bestowed upon you. Do not think that this world is ever perfect for anyone. There is no-one on the face of the earth who gets all that she/he wants or is free form all kinds of distress. Be like a tall tree with high aims; if a stone is thrown at it, it simply lets its fruits drop. Have you ever heard that grief brings back what has been lost, or that worry corrects mistakes? So why grieve and worry then? Do not except trials and calamities; rather expect peace, safety and good health, if Allah wills. Extinguish the flames of hatred from your heart by forgiving everyone who has ever hurt you. Ghusl, Wudu’, siwak and being organised are effective medicines for all kinds of stress and worry.